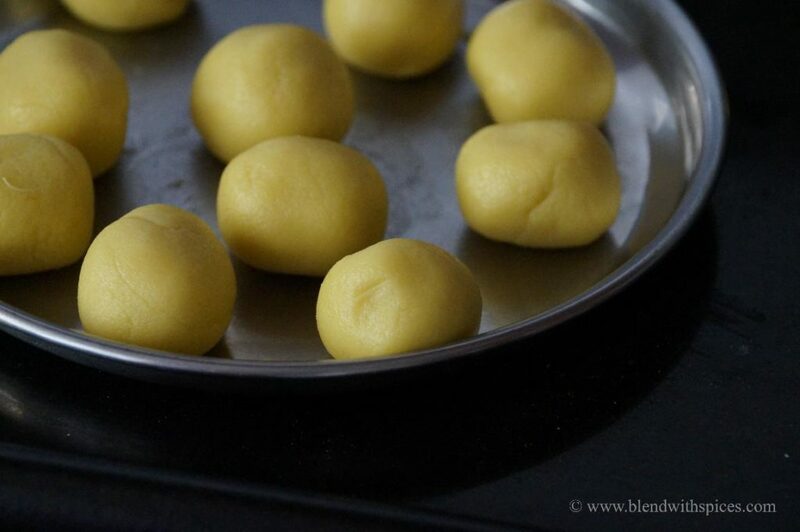 If you are looking for more Gokulashtami Recipes then do check Rava Laddu, Atukula Pulihora, Kobbari Atukulu, Venna Murukulu, Besan Peda, Chana Dal Payasam and Sabudana Payasam. Soak saffron in hot milk for 5 minutes and crush it well. Keep it aside. Take the crumbled khoya in a pan and fry for a minute. Add the saffron milk, sugar and cardamom powder and mix well. Keep stirring on medium – low flame until the mixture thickens. 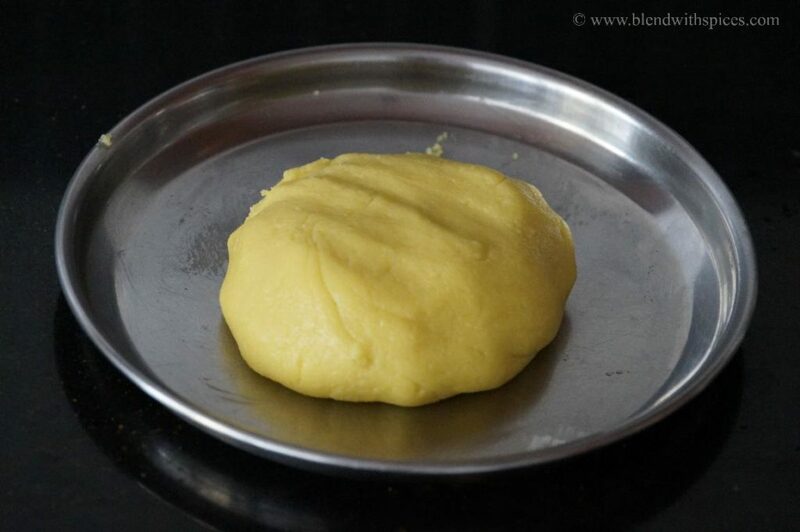 When the mixture is warm enough to handle, knead it into a smooth dough. Grease your hands with little ghee if needed. Divide the peda mixture into 10 equal sized balls. 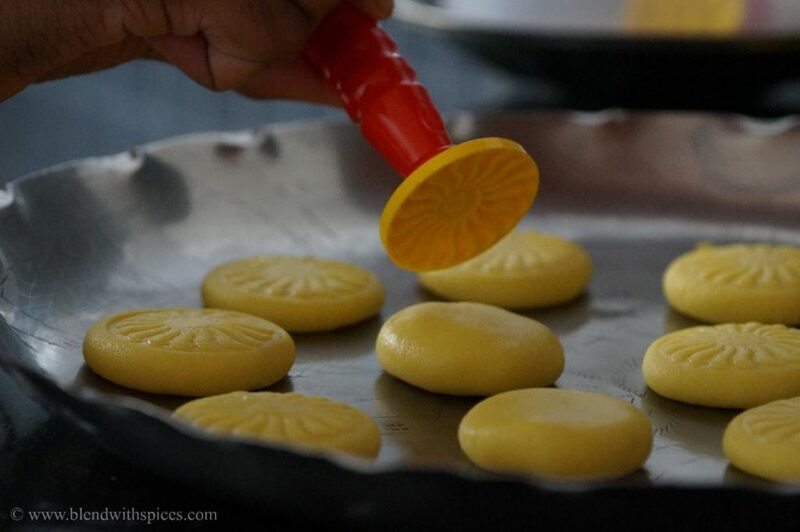 Shape the balls into flat discs and press them with a peda mold. Let them set and cool down. OMG the peda looks gorgeous! that looks easy and delicious too!! Where do we buy that kind of mold ?? Thanks, Sweta.. I bought it on Amazon. Awesome looking pedas. What a coincidence! 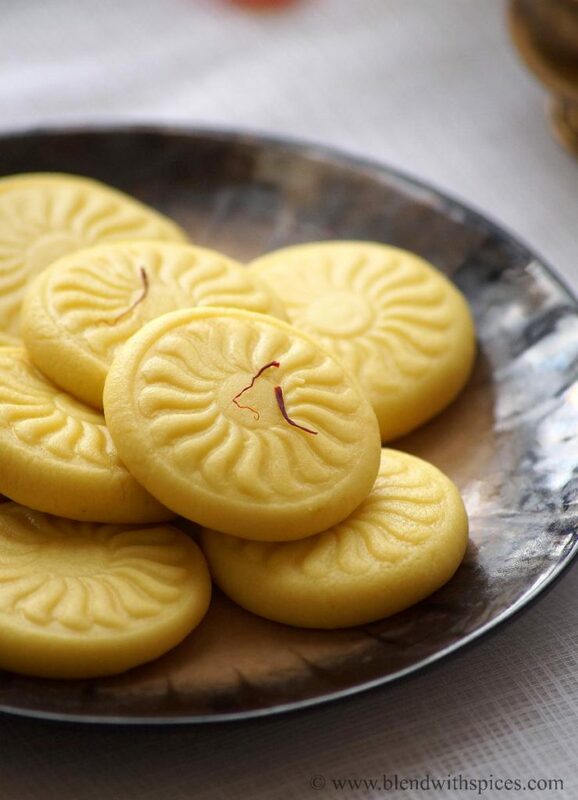 I too posted a similar kind of sweet called Nolen Gurer Sandesh. tat mould is jus sooperbb..
Looks delicious. I love the way you post pictures of sweets. Makes me want to grab one from your plate. 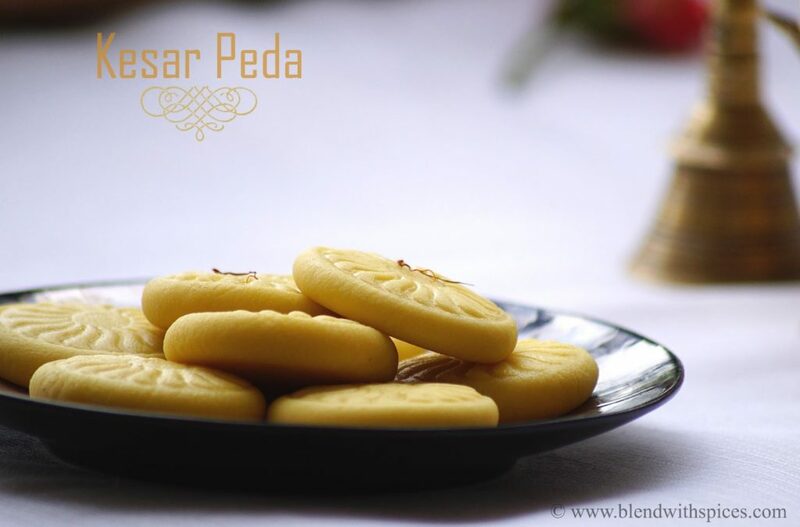 Lovely Pedas…Did you make the Khoya at home or is it store-bought..? I tried this recepie today and looks like this became chewy and not soft. Did I over cook?